Slightly modified version below as I've replaced the nuts with rolled oats and halved the recipe. 1) Preheat the oven to 180ºC. Position the rack in the center. Grease a 6 holes muffin pan, or line with paper liners. (The temperature of the oven may vary, do adjust accordingly). 2) Dry ingredients : In a large bowl combine the flour, sugar, baking powder, baking soda, salt, cinnamon, and instant rolled oats. 3) Wet ingredients : In a large measuring jug or bowl, whisk together the mashed bananas, eggs, melted butter, and vanilla. 4) Add wet ingredients to dry ingredients. Fold in with a rubber spatula and stir only until the ingredients are combined and the batter is thick and chunky. Do not over mix the batter or tough muffins will result. 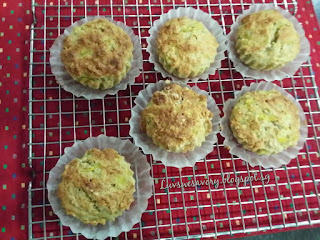 5) Pour batter into a prepared muffin tin or paper liners. Bake for 25 minutes. Check for doneness with a toothpick inserted into the center of a muffin if it comes out clean. 6) Place on a wire rack to cool for five minutes and then remove muffins from pan. Serve warm or at room temperature. We never get tired of banana muffins. With any combinations ... they always taste great. With the added rolled oats, definitely a healthier brekkie to kick start our day! Love these slightly crispy crust with fluffy soft texture and full of banana sweet aroma ! Happy Baking ^-^! Karen, these are healthy but delicious muffins! I should bake some and keep in the freezer for convenience. Good idea, Phong Hong ^-^! Karen, these will be good for all time snacks too, not only for breakfast. I won't be able to stop at 1 or even 2...I know I would love these! Hi Nancy, i'm sure you'll like these oaty muffins. The texture sounds perfect Karen and they look delicious. Love the way you bake. Thanks for the compliments, Cheri ^-^! Banana and oatmeal...a perfect combo for some breakfast muffins. Yeah I think so too ^-^! Nice! Nice! Nice! Going to make this for breakfast. Hee ... hee ... energy reloaded ^-^! Hi Karen, your muffins look so yummy! I also these muffins last week but not as pretty as yours. Thanks for your compliment, Ann. Wow.. definitely a must try!! Looks so yummy! My kids will love these healthy and yummy muffins. Thanks for sharing. You're welcome Henny. Hope your kids will like these healthy yummy muffins. 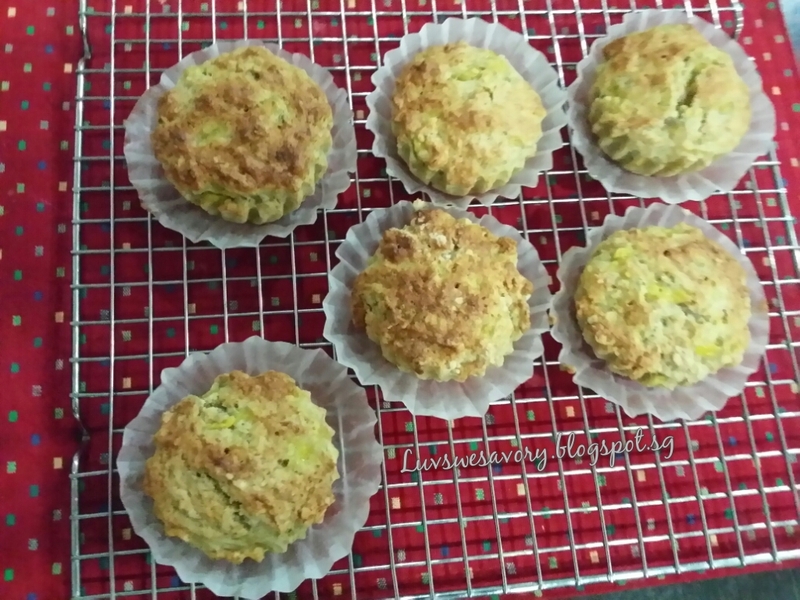 Healthy Yummilicious muffins! :) thanks for sharing. Thanks for your compliment & your visit. Hi Karen, your banana oatmeal muffins look delicious. Thanks for sharing the recipe and will love to try these cookies!!! Cheers! Thanks for your visit and hope you like these healthy muffins. I don't really like bananas inside a cake... but these muffins seem amazing! It tasted yummy too ! Thanks for your visit, Laura ^-^! I love this recipe! It is perfect for my breakfast! I love healthy muffins for breakfast! Awesome! this receipe looks like a keeper! Thanks, do give it a try ^-^! You're welcome ! Hope you all like it ! Banana oatmeal is a very innovative and healthy idea! Thanks for sharing! Hi Felicia, happy baking and thanks for dropping by ^-^! Banana & oatmeal... my favorite! Hi Kat, thanks for visiting. I love banana muffins. The aroma is just heavenly. These look so good to eat! Yes, I love the sweet aroma when freshly taken out from the oven. Not sure what castor sugar is, but I'd need to sub in Splenda anyway. Hubs is diabetic. These look like good muffins. Thanks for sharing. Yes, you may want to substitute the right sugar for special diet. Thanks for dropping by. Yeah, I'm with you to bake some healthy banana/or other fruity muffins for the family. Love muffins and love banana and oatmeal, they look moist and flavorful. Yay! A simple recipe for a noobcook like me. Brownie points for being healthy too. And great idea by earlier comment Phong Hong to make extra to freeze for "rainy days". These look amazing thanks for sharing! I really dont like bananas but love them when they are in a muffin or a cake. I suspect its the texture that gets to me. Oh! I'm like you too ... prefer to add bananas in bakes. Thanks for visiting. I would like to make these healthy muffin for my kid. thank you for sharing healthy snacks. What a lovely recipe. I like healthy breakfast like this. thanks for sharing. Hi Amy, thanks for visiting. Great recipe and more healthier muffin... sure taste uniquely awesome. Indeed healthier muffins to kick-start the day. Thanks for dropping by, Casy. Hi Rachel, yea ... another way to "get rid" overripe bananas ... hee..hee.. Thanks for visiting. something for the kids lunchbox, thanks! Thanks for sharing all your lovely bakes. these would be a great breakfast idea! now that's something new, thank you for sharing.. Thanks for the recipe. Very healthy and delicious too. Look so yummy! One can never get tired of banana muffins! Muffins are very tasty, especially healthy muffins containing banana in them. Thank you for the recipe. You're welcome, John :) Thanks for dropping by. Hi Cecilia, thanks for visiting! Who doesn't love muffins? I haven't tried the banana oatmeal ones yet but they sure look yummy! Thanks for your compliment, Jeannette. Cheers to a healthy, kid friendly recipe! Yums to my Tums! Thankful for the healthy recipe! I am fond of banana recipes in general and always prefer them to be, let#s say, on the healthy side ;-) so this recipe will definitely have to go on my to-bake list. Thanks for your encouragement, Jessmommyrific! Lovely lovely muffins, will surely try this out...thank you for the recipe and I've bookmarked your blog! Great combination for a muffin! My children loves banana but they don't always eat the oats...this recipe hides the oats and I'm sure they would love it still! Will try this soon! Shall try it some day! With orange juice, this would make a superb breakfast. A healthy alternative to eating bread with butter for breakfast! Hi Andrey, healthy brekkie won't be that boring with some healthy alternatives. Thanks for dropping by ^-^! Thanks for your compliments, YL. 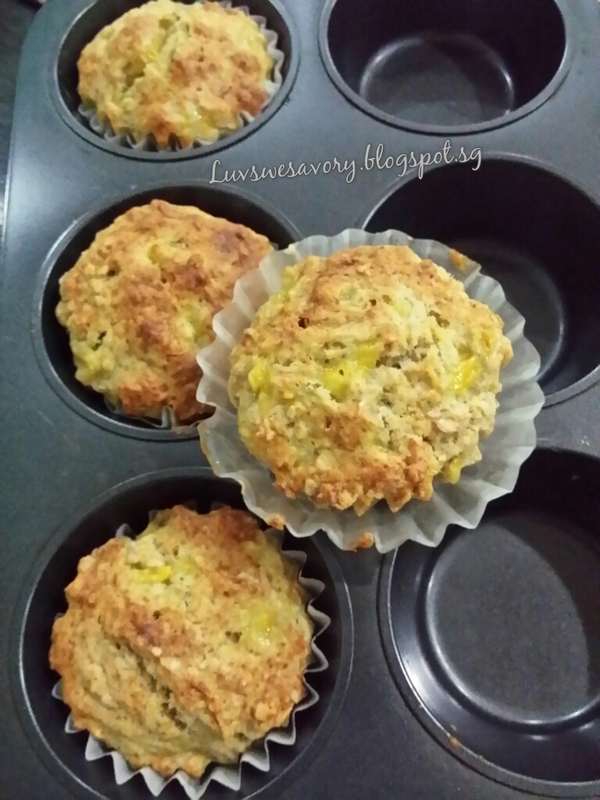 Thanks for sharing the Banana Oatmeal Muffins recipe. The Banana Oatmeal Muffin looks delicious! I tried thesee once - super easy and delicious! Thanks for dropping by ^-^! This seems to be a healthy breakfast choice. Will find chance to try. Thanks for your encouragement, Shirlyn. Thanks for the usefyl recipe!!! Thanks for the clear instruction!, Shall try this at home!! So sweet of you :) Happy baking! Healthy choice. Thanks for sharing .. Love to bake today itself.. Thanks for your kind words, Sheenya. Hi Debbie, give it a try and hope you like it :) Thanks for visiting! What a great way to use leftover bananas...for some reason those that I buy always end up really ripe in the end and I have to throw them away. Glad we could use ripe bananas to bake some nice healthy muffins. Thanks for dropping by! what a delicious combination! Healthy too! Thank You so much for this awesome Banana Oatmeal Muffins recipe and definitely will try it at home ! Thanks for your compliment. Let us know if you like oatmeal muffins. The muffins look delicious. I will try to make them soon. Thanks for visiting, Soon Lee.